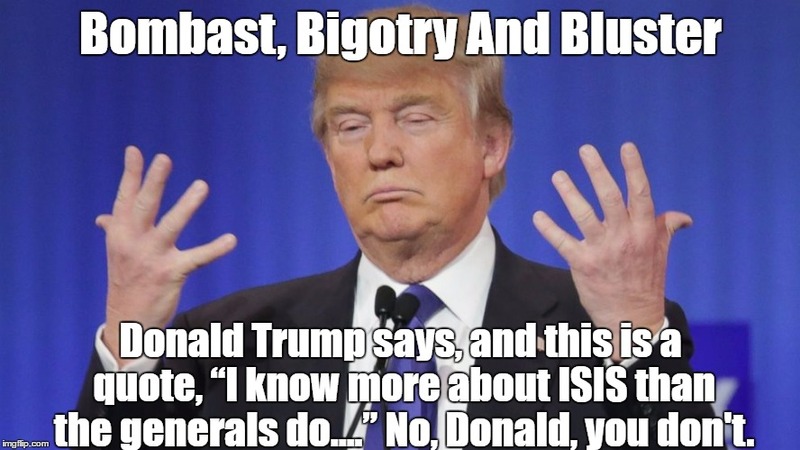 AS IT STANDS: Trump's Secret Plan To Destroy ISIS Will Stun You! 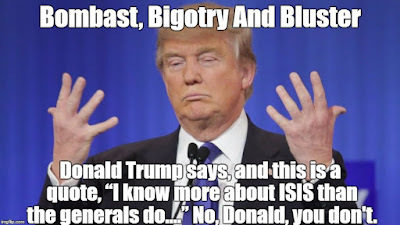 Trump's Secret Plan To Destroy ISIS Will Stun You! Now the bad guys better watch out. Our first illegitimate president's secret plan to destroy ISIS looks an awful lot like...wait for it... President Obama's! The Pentagon rolled out Chump's so-called secret plan the other day, but ... low and behold...it's just more of the same slow and steady approach that Obama took. Remember when Lump was campaigning and claimed that he had a "secret plan" to get rid of ISIS? As is the case with him so often he lied. He told us he that was smarter than the generals. Yet, here we are. Obama 2.0. Plan in hand. The irony of the similarities between Obama's plan and Dump's is that as a candidate, he called Obama's ISIS's strategy a failure. Apparently it's looking pretty good these days. Few changes were made. A sudden speeding up of the process is the new goal. One thing is for sure, the generals say it's going to take a long time to defeat ISIS. It isn't going to be a sudden victory as promised by Dump. Unless the U.S. and it's partners deal with the conditions that created ISIS in the first place - grievances among Sunni Muslims who live in Iraq and Syria, where the governments are controlled by non-Sunnies - another version of ISIS will rise from the ashes.